At the time, Planned Parenthood characterized the meeting as a sit-down so that Richards could explain to Trump the value of Planned Parenthood and the continued necessity for funding the organization. “The purpose of the meeting, from Planned Parenthood’s perspective, was to make sure that Ivanka Trump fully understood the important role Planned Parenthood plays in providing health care to millions of people and why it would be a disastrous idea to block people from accessing care at Planned Parenthood,” the organization told Jezebel last year. Richards writes that she decided to reach out to Trump after she was urged by an acquaintance. “Even if there was only a sliver of a chance of changing anyone’s mind, I owed it to Planned Parenthood patients to at least take the meeting,” she writes. Surprisingly, Trump agreed to the meeting, but Richards later learned that Jared Kushner would also be attending. In response, Richards asked her husband to join as a “witness.” Richards characterizes the beginning of the meeting as the organization described it in 2017. Richards explained the important work of Planned Parenthood and explained how Medicaid reimbursements worked. The meeting and White House ultimatum were, of course, pointless. Shortly after, in April 2017, Donald Trump signed legislation that rolled back Obama-era protections that required states to pass along family-planning grants to healthcare organizations regardless of whether or not they provided abortions. Planned Parenthood’s access to funding was further eroded in February of this year when the Department of Health and Human Services rewrote Title X’s grant guidelines, favoring religious groups (like crisis clinics) and abstinence-only education. 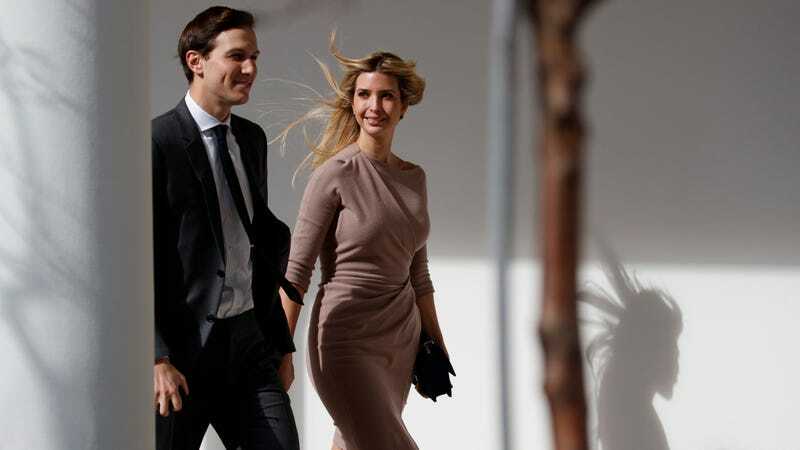 In short, Richards was right to reject the “savvy” deal on offer from Kushner and Ivanka Trump since it far from savvy and never much of a deal.